monday melodies: a christmas mix for YOU! Seriously, how much do you want to swap circumstances with the woman pictured above? 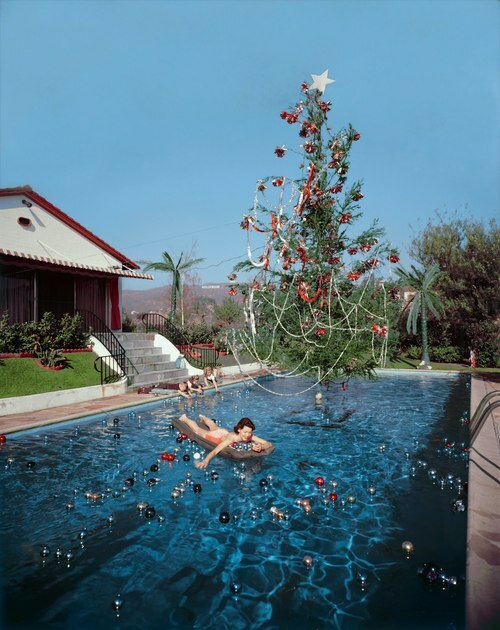 Trade the computer and office for a pool float and crystal-blue water, bobbing with ornaments? Where do I sign up? Alas, I’m at work today, wrapping up loose ends and getting ahead before a gloriously long, nine-day (!!!) break. In case you, too, are spending today in front of a screen, below is a mix o’ music I put together for your ears only. It’s eclectic as all get out, but I hope listening to it makes your work day feel a little bit (79 minutes, to be precise) shorter. If you like what you hear, I shared a holiday mix here a couple years ago, in case you want to give that one a listen too. Christmas break, here we come! This entry was posted in monday melodies and tagged 9 to 5, Christmas, christmas mix, christmas playlist, holiday mix, holiday playlist, monday melodies, music by highplainsthrifter. Bookmark the permalink.